New World Library, 9781608683901, 192pp. "Do not begrudge the white man his presence on this land. Though he doesn't know it yet, he has come here to learn from us." The genius of the Native Americans has always been their profound spirituality and their deep understanding of the land and its ways. 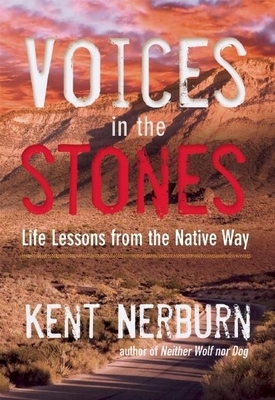 For three decades, author Kent Nerburn has lived and worked among the Native American people. Voices in the Stones is a unique collection of his encounters, experiences, and reflections during that time. He takes us inside a traditional Native feast to show us how the children are taught to respect the elders. He brings us to an isolated prairie rock outcropping where a young Native man and his father show us how the power of ceremony connects the present with the ancient voices of the past. At a dusty roadside caf he introduces us to an elder who remembers the time when his ancestors could talk to animals. In these and other deeply touching stories, Nerburn reveals the spiritual awareness that animates all of Native American life, and shows us how we have much to learn from one another if only we have the heart to listen.